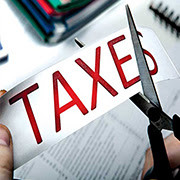 The Central Board of Direct Taxes (CBDT) recently increased the monetary limit for filing appeals by the Income Tax (I-T) department at the Tribunal to Rs 10 lakh from Rs 4 lakh; and to Rs 20 lakh from Rs 10 lakh at the high court. This means, the department cannot go for an appeal in cases where the disputed amount is below this threshold. Since it is with retrospective effect, it applies to existing appeals filed, but pending decision. This means, all such appeals will be immediately withdrawn. However, CBDT has maintained the limit for appeals to be filed at the Supreme Court at Rs 25 lakh.